A good template looks modern and clean from the get-go and is typically provided by an email marketing service. Use our chart to compare features of the best services. An email template is the basic design and structure of any email you send through an email marketing service. At a fundamental level, it consists of the HTML structure and styling elements that tell an email provider how to display the content. Ideally, a business can easily tweak a template as needed to fit its branding, while relying on the template to handle the bulk of the design work. When we review an email marketing service, template options and level and ease of customization are some of our biggest rating determiners. If an email marketing service’s templates are outdated and difficult to use, our reviews reflect that. It is especially important for emails to be mobile-friendly these days, so make sure you read our reviews to see which email marketing services have this capability, and which ones don’t. According to a story by Adestra, 40 percent of consumers between the ages of 14 and 18 said they always open emails on mobile first. A good email template can save your business a lot of time. Good email marketing templates greatly reduce the amount of assistance your business needs from a professional designer, saving you time and money. A good-looking template undoubtedly increases your conversion rates and makes your business feel modern. There’s nothing less appealing to a consumer than a business whose email templates feel like they were built in the ‘90s. Good email marketing services provide templates for a variety of industries and uses, so make sure to seek out a service that offers options suited for your business. It’s also smart to build a variety of templates for your business, and the more you can template out your email marketing, the faster and more effective you’ll be. For example, let’s say you’re a coffee shop that has wine nights on Wednesday. You should have at least two templates: one for your Wine Wednesdays and one for your regular updates. This way, customers get used to the information in both. A good template becomes an extension of your brand — giving you the freedom to make repeatable marketing events uniquely interesting. Choosing an email marketing service with the right templates is an important component of your email strategy. Most email marketing services offer a free trial, and we recommend using our email marketing service reviews to find one that looks appropriate for your business. Then, double-check that there are templates closely suited to your unique needs. In general, you want to make sure the email templates provided look good right out of the box but can also be easily edited via a drag-and-drop editor or light coding. We make sure to analyze each of these features in our reviews to make that information is available to you. Email Marketing Services Reviews: Our staff of marketing professionals analyzes the templates of every email marketing service with care and a thorough eye, and every review is a product of real experience. Customer Reviews: Don’t take it just from us! Read what fellow email marketing service users are saying. Informational Articles: Get the rundown on everything you need to know about email marketing services and their templates before you begin. These articles are written by professionals in the business who live and breathe email marketing. Feature Comparison: If you’re struggling to remember which email service had what types of templates, our feature comparison is a great way to see a high-level comparison of the top email marketing service providers. 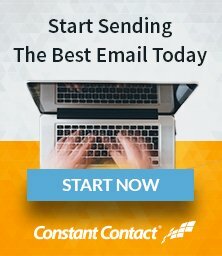 Remember that every business is unique, so choose an email marketing service with the right templates and features for your business. We try our hardest to bring you an objective layout of email marketing services, and we really hope we’ve helped you save time making your purchasing decision. Make sure to come back and check out our frequent updates!